Simply put, free trade agreements that came into effect with China and India in 2010 changed the face of Asian trade and production, and are continuing to do so. For example, bilateral trade figures between China and ASEAN’s Big Five of Indonesia, Malaysia, Philippines, Singapore, and Thailand have multiplied by factors of 500 percent since the agreement was signed. With the smaller ASEAN nations of Cambodia, Laos, Myanmar and Vietnam coming into line with their own compliance of ASEAN customs duty reductions at the end of 2015, the entire bloc offers close to zero import-export tariffs for much of emerging Asia, including the giant markets of China and India, possessing some 500 million middle class consumers between them. ASEAN therefore represents a massive trade bloc possessing free trade agreements of global strategic importance. 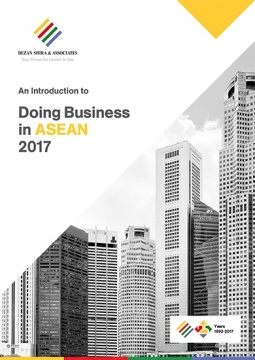 The question of accessing ASEAN for the benefit of North American, European and other global purchasing and manufacturing executives is a key function of this report.